Yoga VPN – Does it really offer Online Sanity? If a VPN has amassed over 5 million accounts till now, its high time that it gets a full-scale VPN reviews now. 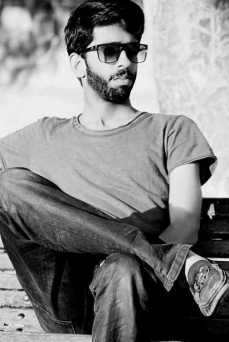 And that’s exactly what I am going to do, i.e. 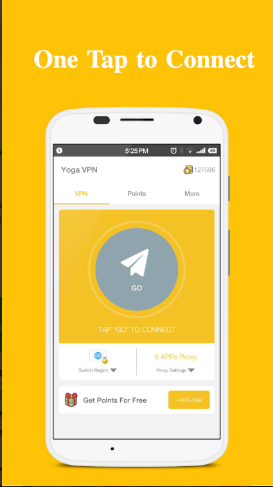 review Yoga VPN. But does Yoga VPN stand up as a good enough Free Best VPN service that can be relied upon or is it one of those scam services using the garb of a Free VPN to serve its nefarious purposes? You will find out about more about this once you read our all-inclusive review of Yoga VPN containing critiques of its performance, security infrastructure, server park, support reliability and more by BestVPN.co! Well, if you have gone through any of its app pages on either the Play Store or the iTunes store, you must know by now that it’s a free VPN, so why a pricing review then? Well, Yoga VPN is definitely free but you do need “Points” in order to unblock specific features on the site and since I count everything that you need to earn to gain as currency, then we definitely need to have a pricing review. So what are points anyway? 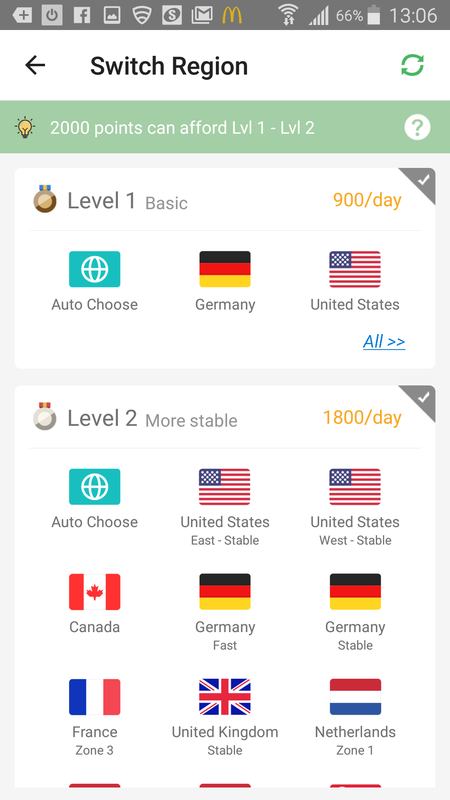 Yoga VPN is free, but its server park is divided into different levels i.e. Level 1-3 and each level needs a certain number of points to get unblocked. 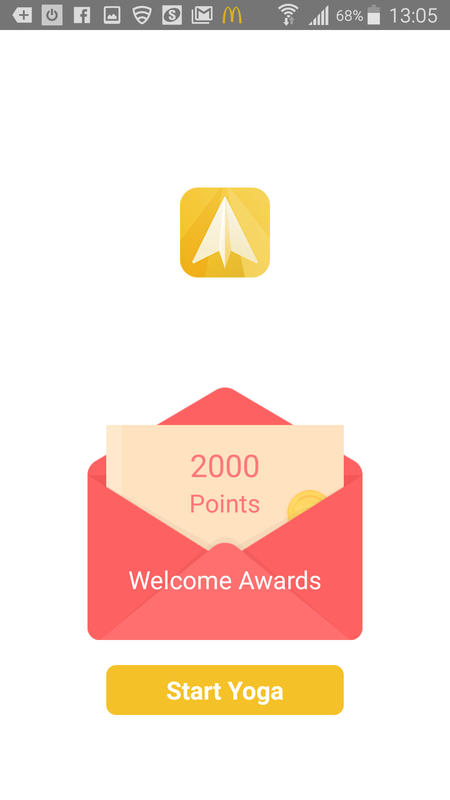 You have to earn these points in the app mostly and there is nothing fishy about it. It definitely is a strange way for servers to get unblocked level on level by earning points but its how Yoga VPN works. 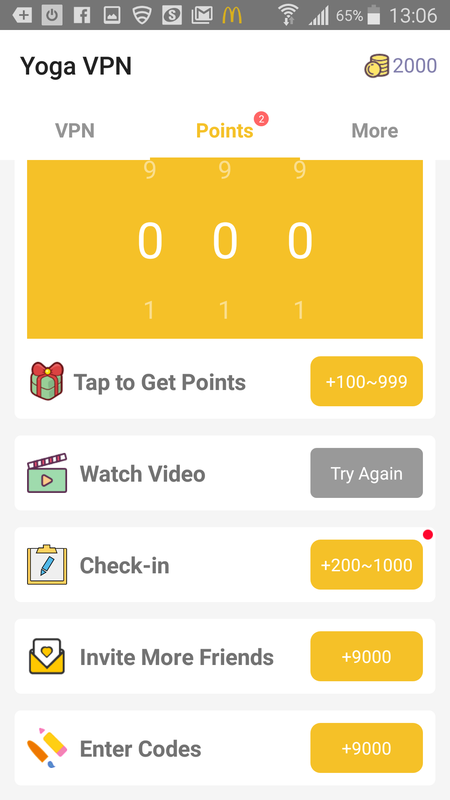 The ways through which you can earn these points range from free points that you can get after every minute in small quantities, the ones you can unlock by doing specific tasks like inviting friends, watching a video etc. I have never seen such a system during my career till now and I was surprised definitely, but as long as things are safe and not fishy, I don’t mind them. 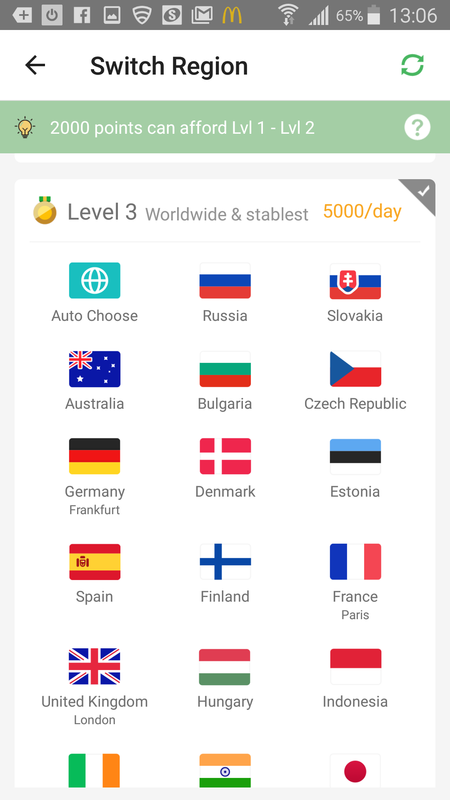 Yoga VPN says that it offers 1000+ “Proxy Servers” in 30 different regions, with the fastest ones being the servers you will find in Level 3. The provider doesn’t outline what kind of encryption or protocol it uses or it offers. Without these two features, there cannot be a VPN in the first place. Even the lousiest of VPNs mention these two things, but Yoga VPN is silent about them. It does say that it encrypts your data but there is nothing further following that. Yoga VPN doesn’t allow Torrenting either does it say that you can unblock any major streaming site through it, which is alright since Free services don’t have the resources to offer these functionalities. 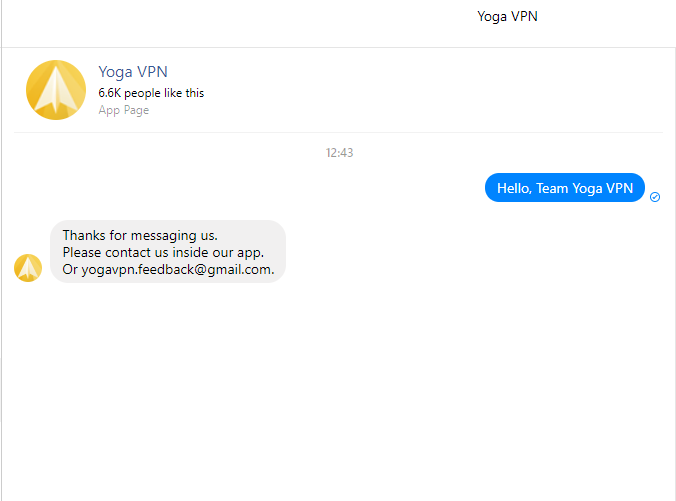 One great thing about Yoga VPN from the security perspective is that there were absolutely no DNS leaks when I conducted tests on it, which is immensely encouraging for anyone looking to use the service. The provider doesn’t require you to provide any sort of personally identifiable information. You don’t need to create your account, submit your email, enter your credit card details or anything like that in particular. 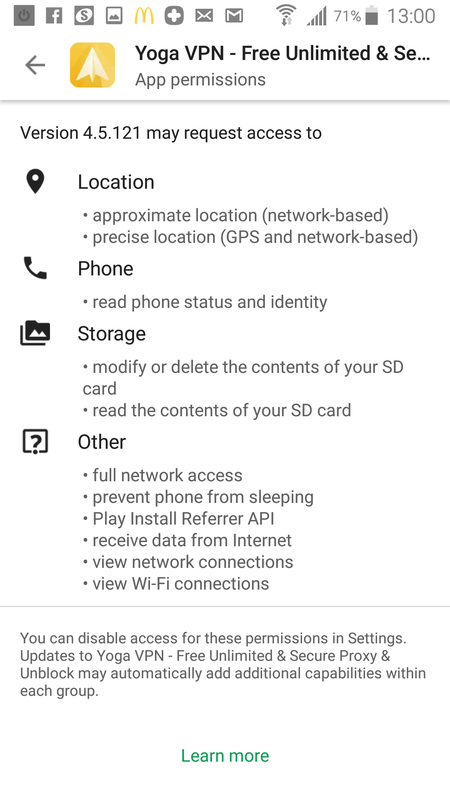 But still, the app requires some problematic permission to run like knowing your location, the ability to modify or delete the contents of your storage, prevent phone from sleeping etc. which certainly makes the app intrusive to a very high extent. 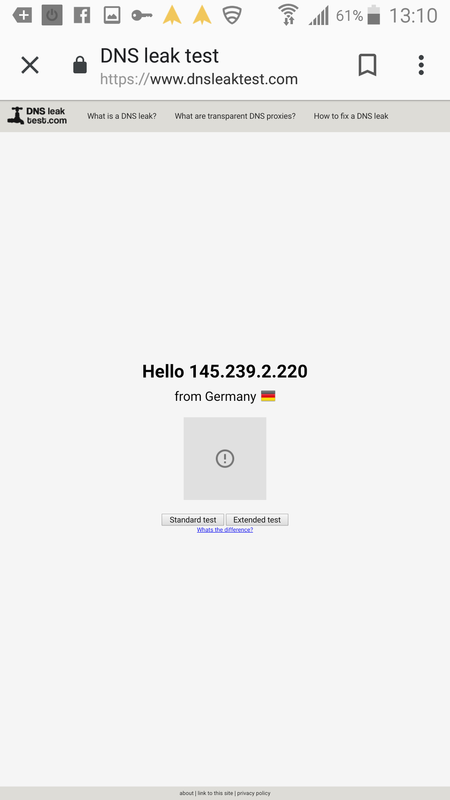 And that is exactly the issue with nearly all Free VPN services i.e. their apps are mightily intrusive and require extensive permissions to run, which makes them appear not secure to get affiliated with. 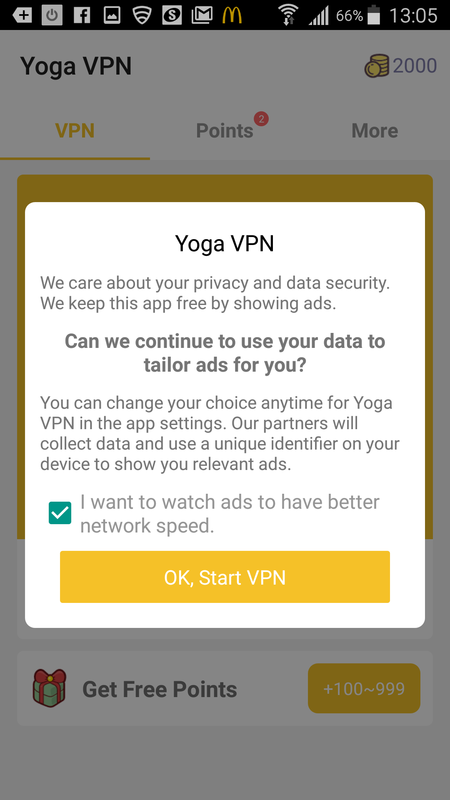 Another big problem or you can a big nuisance with Yoga VPN is all the ads that keep popping up within the app every other minute. The provider apparently runs on revenue from these ads, so the frequency of their appearing can be understood, but one good thing with Yoga VPN is that you can easily turn off these ads by just retracting your permission for them to show. And this doesn’t affect the performance of the app in any manner whatsoever. There is no mention of where Yoga VPN is based in or the development team behind it, except for the name of Sara Hawken, a developer apparently who has developed another VPN service by the name of “VPN Lighter”. The provider doesn’t have a website and primarily exists in the form of its Android and iOS app on the Google Play and iTunes store respectively, so its apps need to as user-friendly as possible. And its apps are actually made quite well and that’s mainly because they are immensely simplistic with no flashy stuff at all. 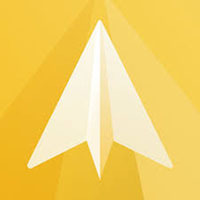 To connect to a VPN server, you have this big light yellow button on the app’s homepage, the server park can be accessed quite easily as well just from below the connect button, you can go to support and points sections through the tabs feature above, making it a simple, elegant and responsive app that can be used by noobs. The biggest disappointment that I faced with Yoga VPN is in how slows, irresponsive and dated its support mechanisms are. I first tried contacting them through their Facebook page, but all I got was an automatic response offering me the email address I can talk to them, but when I emailed them, I didn’t secure a response and its been a full day now since that happened. They really need to up their game in this facet of their service certainly if they want to keep growing and gaining the trust of the expert lot of VPN users. 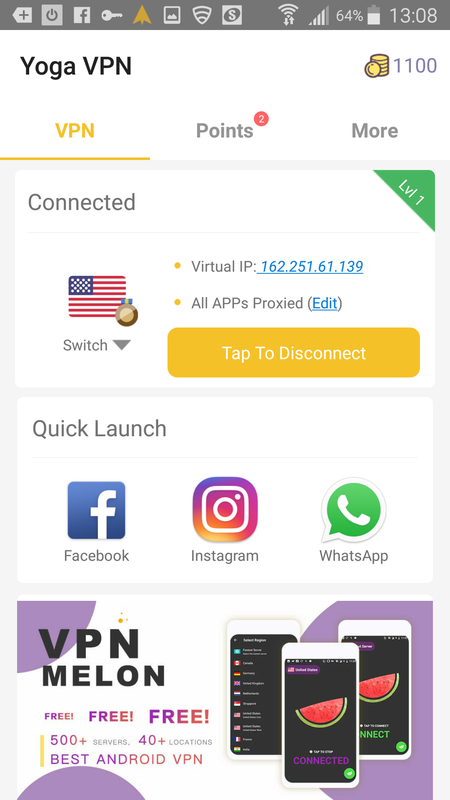 Yoga VPN is a good Free service especially for Android, and that’s because it is incredibly secure if we compare to the hundreds of dupe services that now exist on the Google Play Store. 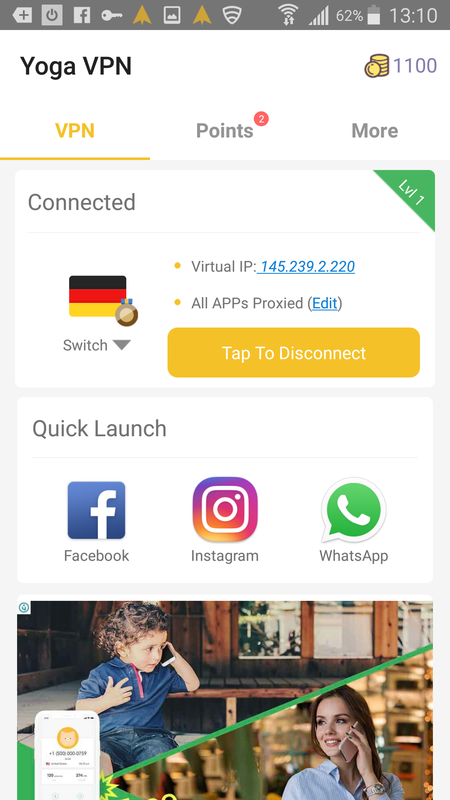 I still don’t recommend you to go for Free VPNs and that’s because they don’t offer the same level of security or features as the Best Paid services, but if you still want to go for one, then Yoga VPN is definitely one of the more safer Free services that you can opt for.